Today in perplexing hairpieces and neon button-downs, three new actors have officially been added to AMC’s Better Call Saul: Rhea Seehorn, Patrick Fabian, and Michael Mando. Their roles, like Huell’s current whereabouts, are still a mystery, with AMC offering no comment. 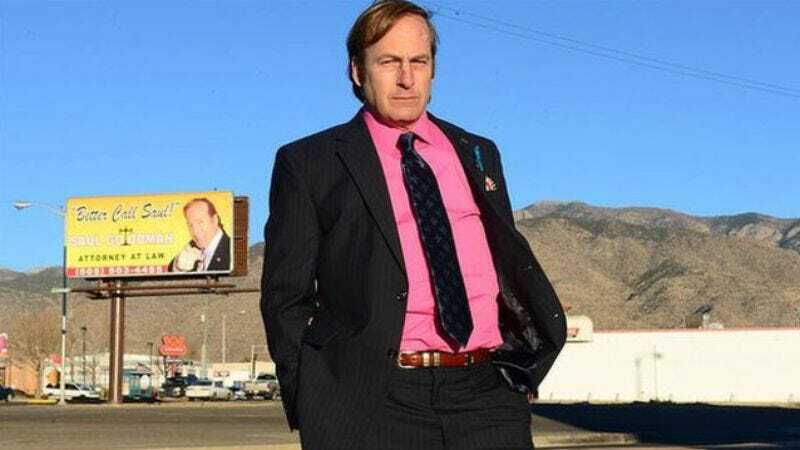 Deadline does have a hunch about them, though, saying Seehorn and Fabian will play lawyers, while Mando will play a “Spanish-speaking career criminal.” would certainly fall in line with producer Peter Gould’s hints that the show will have more to do with Saul Goodman’s time in the courtroom. Seehorn, Fabian, and Mando join fellow new cast member Michael McKean, with Bob Odenkirk, Jonathan Banks, and maybe some very important other actors reprising their Breaking Bad roles.